Fredericton MP Matt DeCourcey was at the University of New Brunswick (UNB) today, World Intellectual Property Day, to announce an investment of $500,000 for the Innovate@UNB pilot project led by the Office of Research Services (ORS). MP DeCourcey made the announcement on behalf of the Honourable Navdeep Bains, Minister of Innovation, Science and Economic Development and Minister responsible for the Atlantic Canada Opportunities Agency (ACOA). The project involves engaging sector experts to leverage, promote and market technologies developed by UNB researchers, as well as enhance UNB’s technology transfer model in order to encourage new university-industry projects and partnerships. 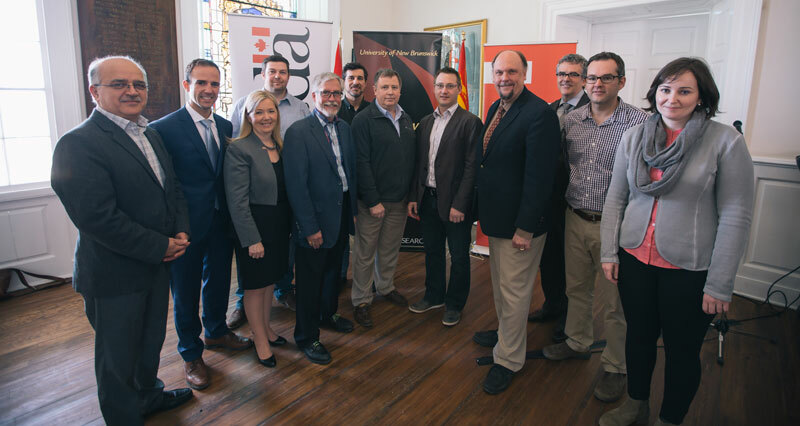 "The University of New Brunswick is excited to have the support of the Government of Canada to find additional opportunities for 13 of the successful Atlantic Innovation Fund (AIF) projects we have had,” said David Burns, UNB’s Vice-President (Research). "It is an exciting opportunity to bring this valuable research to the attention of international businesses, and business networks to find additional value for the researchers, the university and Canada." The Innovate@UNB pilot project will help spur economic growth and strengthen the region's capacity in moving promising technologies to commercialization success within growing sectors including IT, Biotechnology and Energy. ACOA’s $500,000 contribution is being made under its Business Development Program.